Pico Squeeze box mod by Eleaf is one of the few out-standing squonk mods on the market. It adopts detachable structure for easy cleaning and convenient maintenance. Pico Squeeze box mod by Eleaf is one of the few out-standing squonk mods on the market. It adopts detachable structure for easy cleaning and convenient maintenance. Powered by single 18650 battery, the squeeze mod can reach up to 50W output. 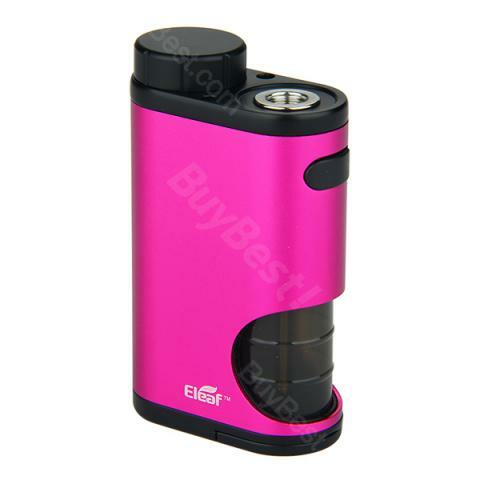 It also comes with a refillable squonk bottle of 6.5ml capacity which can be squeezed and replaced easily. The mod is connected with 510 spring thread so it can be compatible with most 510 atomizers, especially Eleaf Coral tank. • It compatible with Coral RDA Atomizer. The Pico squeeze is fantastic. I use it with my atom (goon 24mm with a mod in the battery cap) and it works very well. The price is very low and the Pico works very well with my batteries (VTC 5). I suggest that you must use the Pico with a protected batteries! My first squonker mod and is everthing I wanted. Already recommended this shop to my friends. It's working nicely with my bf rda. Love it! Only 18usd for a pico squonker, what are you waiting for?? Ordered this pico squeeze mod with 10% off discount! So cheap price, but a solid mod from Eleaf!